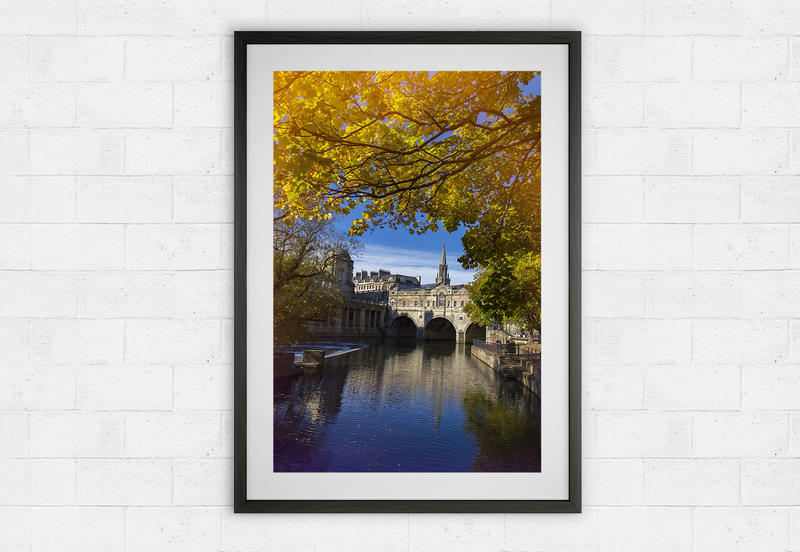 This stunning image shows the famous Pulteney Bridge and weir from the river. 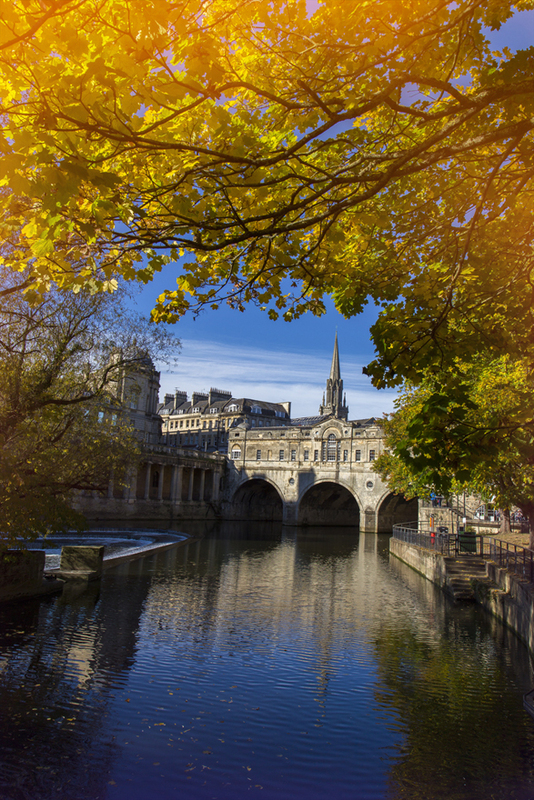 The Autumn sun shines through the amber and ochre coloured leaves on the surrounding trees. (Click here to view a larger image).